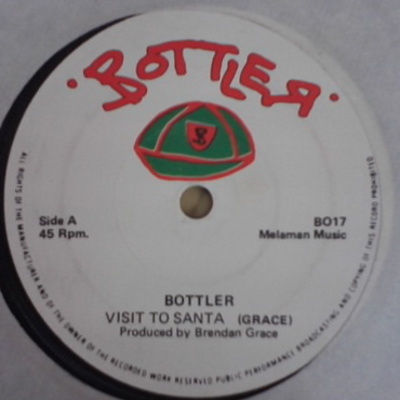 Label established for releases by comedian and singer Brendan Grace. Brendan Grace was phenomenally popular in Ireland in the 70s and 80s. Bottler was his most famous comedy creation. He recorded both comedy and straight music releases (mostly MOR -- he was also the voice of the Safe Cross Code advert on TV). Many of his pre Bottler label releases were on Solo Records. BO 17 The Dutchman / Shoes Shine Suzy 7"
BO 21 Song For Mira / The Humours Of Ireland 7"